Aries born believe in action. They are found to be learned, quick in action and optimistic even in hard days. They are full of energy with fighting spirit accepting the challenges in life. They prefer to remain independent and do not like to be dictated by others. Friend circle may be wide and helpful. They may get more benefits from friend circle if they are honest in the relations. More positive or negative results can be evaluated after considering the placement and strength of Mars and other planets like Sun and Jupiter in the chart. Here are general predictions for Arians for 2018 based up on the Moon Sign and the transit of other planets during the year. Specific predictions depend upon the placement and strength of planets present in the natal chart of an individual. Mahadasha and Antardasha period of particular planet in the chart also decide important events, bad or good, in this time frame. 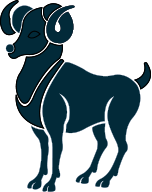 These predictions will work as guidance for the natives born with Aries as their Moon Sign including recommendations, precautions and few remedies to be taken in case you are running adverse time during the year 2018. At the beginning of year 2018, Jupiter will be transiting in the seventh house in Libra. Jupiter will move to negative eighth house on 11th October 2018. Saturn will be transiting in ninth house throughout the year in Sagittarius Sign. Rahu and Ketu will also be transiting in fourth and tenth houses respectively in Cancer and Capricorn Signs. Family life appears to be satisfactory during the year. Period from mid of January 2018 to mid of March 2018 may create some misunderstanding amongst the family members. You should avoid hot arguments with your family members to keep the relations smooth. Month of December 2018 may also prove to be worrying. In other months and most of the time during the year, family members will have better understanding. Children will be helpful and supportive but you have to be cautious about health of children during March-April 2018 and November 2018. You can also expect some auspicious ceremony at home or religious observance during this year up to October 2018. Most of the time, you will enjoy the company of your friends and relatives. You will become more religious and will show interest in activities related to beliefs. Married life will be generally good most of the time during the year. Months of November and December 2018 may prove to be problematic for married life where some misunderstanding may surface in the relations. You may feel strained and confused in the relations. Avoid any hot and unnecessary arguments with spouse or beloved particularly during these months to keep the relationship to work smoothly. Health may also be an issue during these two months. This year is also favorable for lovers. Willing lovers may get the chances to convert their love in to marriage. Time up to September 2018 will prove to be auspicious for this purpose. Marriage proposal, if any, may get materialized with the support of the elders of the family. Period of Ashtam Shani is over now and you may be feeling some relief for the matters related to profession. You may start getting temporary relief in your professional life. But some issues may be the cause of concern during starting month of the year which will improve during coming months and will keep you optimistic and energetic. You will get cooperation from your colleagues and seniors. Those who are in business will generally get favorable results except during the month of October to December 2018. Beginning two months of the year cannot be considered favorable for financial matters. You may plan to borrow some loan due to unstable financial position. You may also remain restless on account of heavy and unnecessary expenditures. In spite of this position, you will manage to control you financial problem gradually by virtue of hard work. Speculation or investing in stocks is not advised during the month of March-April and November 2018. You need to control your temperament during the beginning and last month of the year which may result in restlessness and insomnia. Opponents may be active again and they will try to create obstructions. Impatience may also cause problems related to digestive system. You may also face some urinary problem during these months. Some skin problem may be the cause of worry in September 2018. Meditation will prove to be helpful. You may also plan some pilgrimage during this year. Take care of the health of father during the year. Months of March and November 2018 may not allow you to concentrate on your studies. Otherwise entire year is good for education. To utilize this time, you are advised to work harder. Month of September 2018 may prove to be favorable for those who are appearing in competitive examinations. Saturn transit in ninth house indicates the time of minor period of Saturn is over now. You may expect some relief and favorable results. 1. Visit and worship Lord Hanuman. 2. In case of problems keep fast on Tuesday and offer some Bengal gram (chana) and banana to monkeys on every Tuesday. 3. Keep a red colored handkerchief in your pocket. Serve Brahmins and elders. Precautions: Avoid any hot and unnecessary arguments with anyone. * You should serve the elders and get their blessings. * Visit Hanuman Temple when you feel troubled.